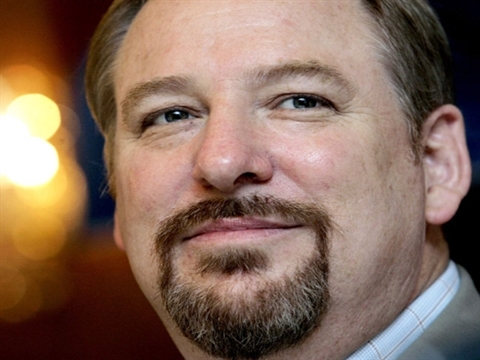 In posts such as Rick Warren Dangerous Man For The Gospel this online apologetics and discernment work Apprising Ministries has been among those who’ve been reporting on an ill-advised decision by Dr. John Piper to bring Purpose Driven Pope Rick Warren into the Desiring God Conference 2010 as the keynote speaker. Warren’s Twitter bio humbly informs us that he is a “Radical Christian, Loves&mentors next generation leaders, Saddleback pastor, Leads Global PEACE Plan & church planting network”; in other words Warren, arguably the most visible pastor in the Southern Baptisit Convention—itself the largest Protestant denomination in the United States—influences many, many people around Christian circles. The “Nouwen” in the above tweet is the deceased Roman Catholic mystic Henri Nouwen. I told you recently in Christian Broadcasting Network Peddling Contemplative Spirituality—even today—Nouwen remains a leading teacher of the anti-biblical, and spiritually corrupt, Contemplative Spirituality/Mysticism (CSM) perpetrated in the pretending to be Protestant evangelical by Living Spiritual Teacher and Quaker mystic Richard Foster with his trusty spiritual twin Dallas Willard, under the guise of so-called Spiritual Formation. Here we have Warren sending sheep to an apostate (at best) wolf who gave his life in service to a gospel contrary to the one you received (c.f. Galatians 1:9) in the Roman Catholic Church, which has placed its anathema upon the very Gospel of Jesus Christ itself. Ah, but what’s a little thing like the Protestant Reformation to Rick Warren; he can defecate upon the blood of the martyrs because he’s bigger than the entire Reformation. And what’s the Scriptures to Warren; only his personal playground where he romps with his Play-Doh Bible to twist it into any shape he personally desires. We also have another case o the irrational philosophy gleaned from pagan religions: Hiddenness is the place of purification. Huh; what does that even mean, hiddenness? If hiddenness purifies us, why would we need a crucified and risen Savior? Yet guru Nouwen, and apparently PDL pope Warren, think ala Zen Buddhism we purifiy ourselves in the practice of “Christian” transcendental meditation in an altered state of consciousness, the so-called “silence and solitude” of Contemplative/Centering Prayer (CCP). One of the discoveries we make in [contemplative/centering] prayer is that the closer we come to God, the closer we come to all our brothers and sisters in the human family. God is not a private God. The God who dwells in our inner sanctuary is also the God who dwells in the inner sanctuary of each human being. Today I personally believe that Jesus came to open the door to God’s house, all human beings can walk through that door, whether they know about Jesus or not. Today I see it as my call to help every person claim his or her way to God. I ask again: Why would Rick Warren want people to follow the toxic teaching, and practice the spirituality, of Henri Nouwen when it turned him into a universalist? Henri Nouwen, Here And Now [New York: Crossroad Publishing, 1994], 24, 25, emphasis mine.